Delicious autumn fruits are given a healthy wholemeal treatment along with long lasting oats, and creamy Loseley Summer Meadow Butter. The porridge oats not only add extra crunch but also an added bonus to those bored of using them for breakfast. 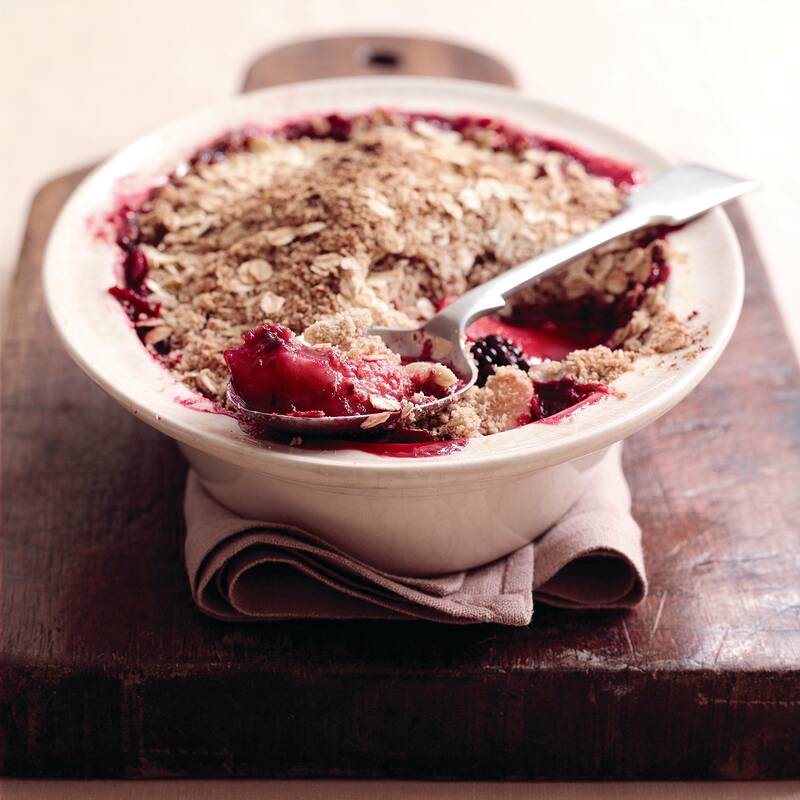 The crumble will keep you full and satisfied for longer than traditional mixes. 1. Preheat the oven to 190˚C/ 375˚F/ Gas 5 and put the fruit into a 1.25 litre (2 pints) ovenproof dish in layers with the granulated sugar. 2. Place the flour in a separate bowl and rub in the Loseley Summer Meadow Butter until the mixture resembles fine breadcrumbs. Stir in the brown sugar and porridge oats. 3. Sprinkle the crumble mixture thickly and evenly over the fruit, pressing down lightly. 4. Place the crumble on a baking tray and cook in the oven for 15 minutes. Reduce the temperature to 180 ˚C/ 350˚F/ Gas 4 and continue cooking for a further 45 minutes or until the top is lightly browned. Serve the crumble hot with custard. If you pick wild blackberries from the hedgerows, be sure to pick those that are well away from any busy main roads to ensure they are not contaminated by car exhaust fumes, and wash them well before eating. Loseley Summer Meadow Butter is packed in a 250g tub and costs £1.29p. This press release was distributed by ResponseSource Press Release Wire on behalf of Juliette Hellman Public Relations in the following categories: Food & Drink, for more information visit https://pressreleasewire.responsesource.com/about.